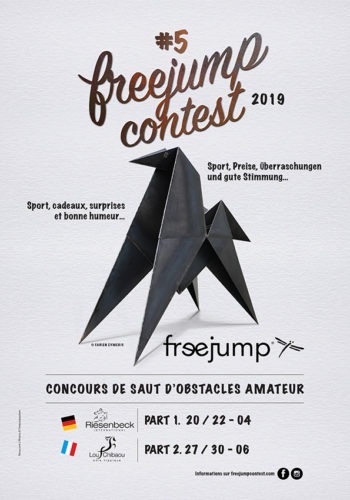 Save the date : from April 20 to 22, the freejump team will be at the first round of the Freejump Contest amateur tour at Ludger Beerbaum’s place in Riesenbeck (Germany). 3 days of competition, good mood guaranteed, a master class with a top rider, 10 000€ of giveaways, welcome packs, live music and the French Touch of course ! Follow our news on the dedicated facebook page Freejump Contestand our website: freejumpcontest.com !